Tractors Created By Customer Innovation: The PowerStar™ family of tractors provides unprecedented power, comfort and performance in a UTILITY tractor. They are designed for today's work using tomorrow's technology. 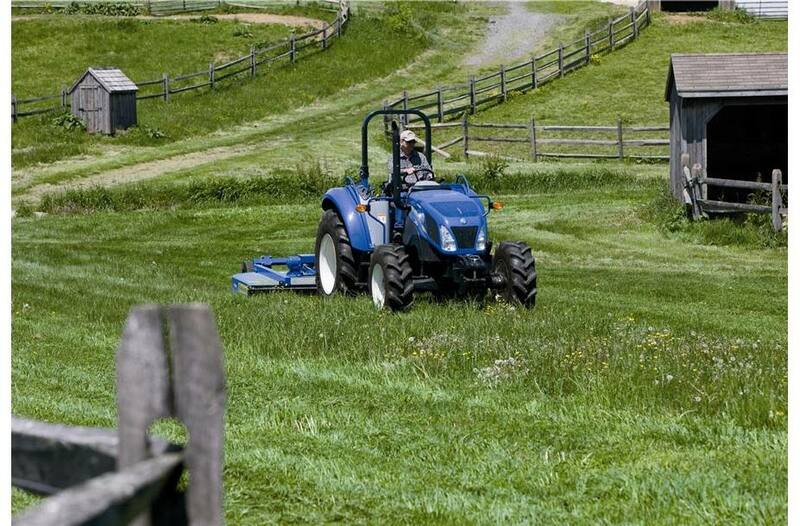 Farmer Designed: As a farmer, you want to spend more time working and less time maintaining your tractor, so PowerStar™ series tractors have been designed to be ready whenever you are. The long, 600-hour service intervals, impressive fuel economy, and simple daily checks thanks to the one-piece flip-up hood make maintaining your PowerStar simple. State-Of-The-Art Comfort: The PowerStar family was designed around you, the operator, providing the comfort you need to operate all day long in all conditions. Choose the open platform ROPS platform* or the ultra-comfort Vision View™ cab with options like a full-size instructor seat and high-visibility roof panel. These operating platforms were designed in the virtual world for the realities of the real world, ensuring that operators of all shapes and sizes enjoy absolute comfort. Enhanced Level of Efficiency and Performance: Common-rail fuel-injection engines with four valves per cylinder deliver more power and torque to easily handle all your daily chores, while reducing your fuel bills and emissions. Every model meets stringent Tier 4 Final emissions requirements without requiring any form of regeneration, ensuring you experience non-stop power throughout your work day. Best-In-Class Comfort: Whether you choose a PowerStar™ model with a spacious, flat-deck ROPS platform or factory-installed, all-weather VisionView™ cab, you get best-in-class visibility, comfort and ergonomics make sure you can operate with ease. 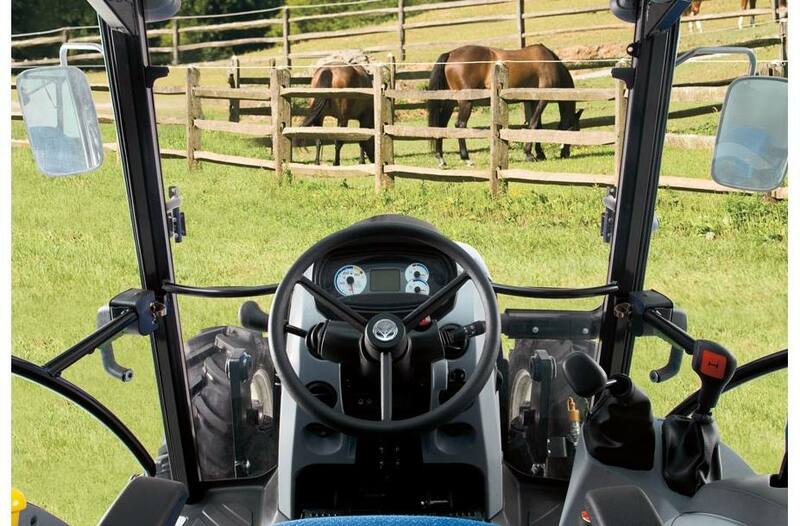 When you take your seat, there is no doubt that PowerStar tractors were designed with the operator in mind. Command Arc Console: Whether you choose the VisionView cab or ROPS platform, the New Holland exclusive Command Arc console places controls along an arch to match your natural arm movements to increase your productivity and reduce fatigue. Never again will you feel like a contortionist in your own tractor. Detailed designs like these increase your operating productivity and reduce fatigue. Cab Comfort Never Before Seen In A Utility Tractor: While the cabs on other utility tractors can be cramped, with little storage space or room to move, the optional ultra-quiet PowerStar cab takes operating comfort and ease to a new level. A wide threshold and two wide doors allow for easy access from either side. Take your seat and you’ll appreciate the spacious dimensions of your office on wheels. The flat platform provides ample legroom and you also have plenty of shoulder and head room. The standard air-ride seat swivels to the right for a convenient of all rear implements. A spring loaded, large, comfortable cloth cushioned instructor seat is also a factory-installed option. A 360-Degree View: Large panels of glass with thin, smartly placed support pillars give you outstanding 360-degree visibility. You don’t need to lean forward to see your loader thanks to the curved arc of the top of the windshield and optional high-visibility roof panel that gives you a perfect view of the loader raised to full height. Night visibility is great too, so you can work productively at any hour. A full range of work lights are standard and can be angled to suit the application. Cab models feature eight lights total, while ROPS models feature five. Vents In All The Right Places: The PowerStar temperature control system simply can’t be beat. The high-performance heating and air conditioning system includes two fans and 10 vents that provide air flow to both upper and lower portion of the cab, two vents are dedicated to warm or cool your feet. Enjoy The Radio: We know the “extras” mean everything to you. 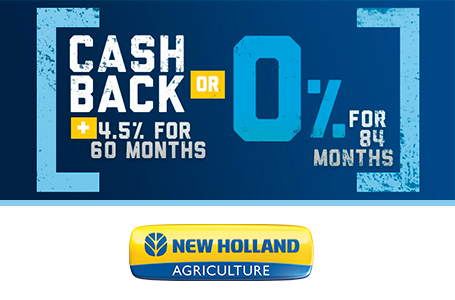 That’s why New Holland makes a Bluetooth™radio standard in every cab unit. 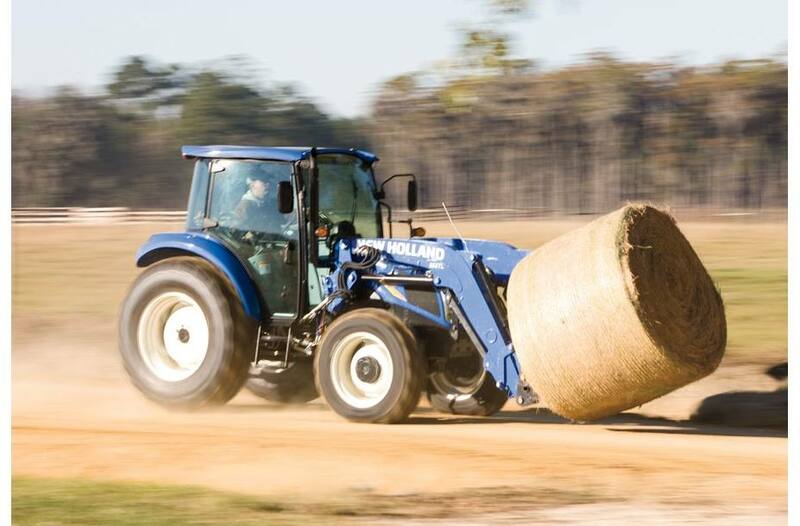 A Perfect Match: New Holland engineers designed the heavy-duty 655TL/665TL/710LU/715LU/720LU/725LU factory-installed loaders expressly for PowerStar™ tractors. 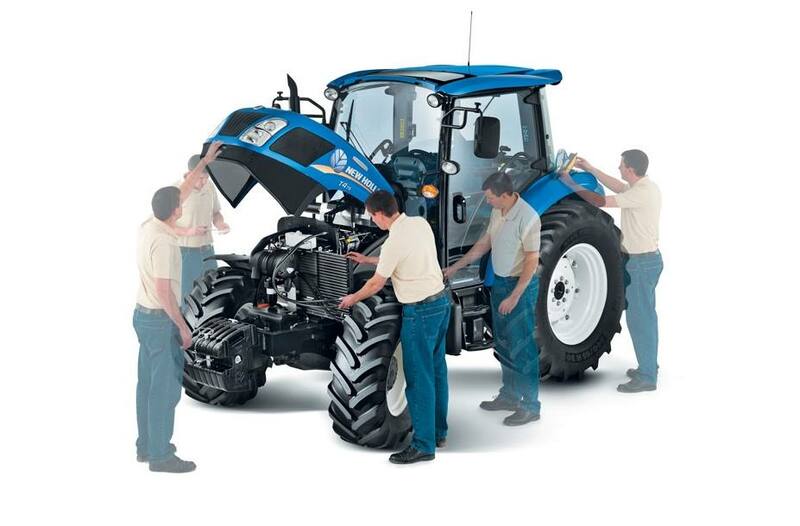 It works as the perfect extension of your PowerStar tractor. 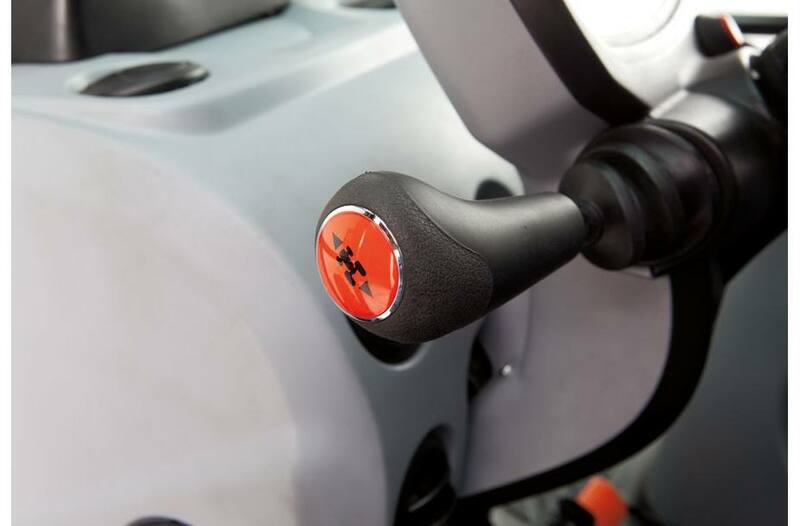 Easy To Use: The conveniently located joystick control makes loader operation second nature. Optional mechanical self leveling keeps the bucket level through the loader’s entire lift range to reduce spilling and make operation more simple for you. Fast Attachment Changes: The skid-steer-style or euro-style quick-attach coupling systems allow you to change attachments fast – a bucket now, a bale spear next, and pallet forks after that. Non Stop, Reliable, Fuel-Efficient Power: PowerStar™ tractors now have more power than ever, boasting a 207 cubic-inch, 3.4 liter engine producing 50 to 100 PTO horsepower. Coupled with four-cylinders and turbo charged, these Tier4 diesel engines rise to the challenging conditions with smooth lugging power. 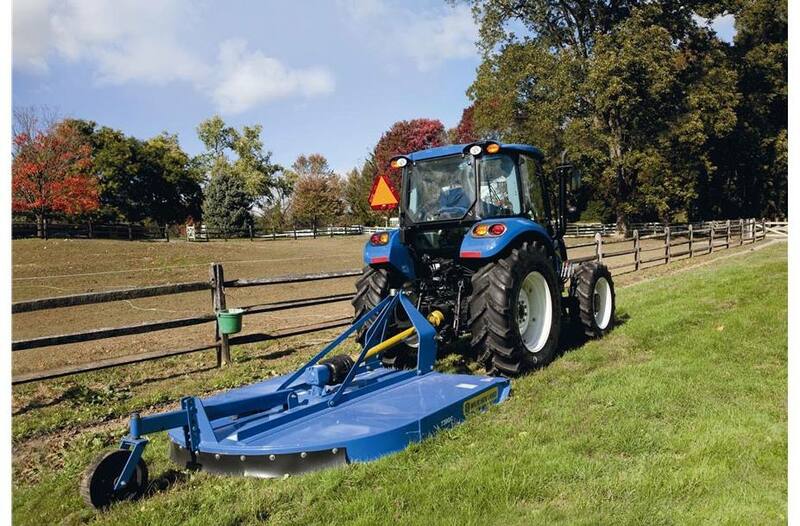 Since these engines meet emissions regulations without requiring regeneration, you get the non-stop power you need for field PTO (power take off) work, tough roadside mowing or heavy loader work all day long. PowerStar™ 65/75 F5D Engines with Diesel Oxidation Catalyst (DOC): In addition to precise fueling and optimum response, the F5D engine also reduces fuel consumption by up to 13%. This super-quiet engine develops up to 74 horsepower and up to 310 Nm of torque for guaranteed productivity. The flat power curve between 1,900 and 2,100 rpm maintains maximum performance through a larger horsepower range, giving you more horsepower and efficiency than ever before. The engine emissions system has been optimized to require only cooled exhaust gas recirculation (CEGR) and a diesel oxidation catalyst (DOC) in order to meet emissions, ensuring non-stop power by eliminating any need for regeneration. PowerStar™ 90/100/110/120 F5G Engines with ECOBlue™ Compact HI-eSCR System with Light CEGR: The F5G power unit provides exceptional fuel economy and achieves maximum power at a mere 1,800 rpm and is available up to 2,300 rpm, which is typical for work applications. 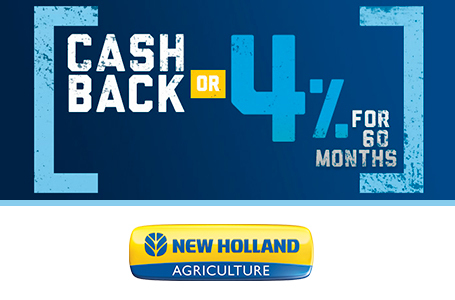 For these larger frame PowerStar tractors, New Holland employs the ECOBlue™ Compact HI-eSCR system with light CEGR (Cooled Exhaust Gas Recirculation) to achieve Tier 4B compliancy. 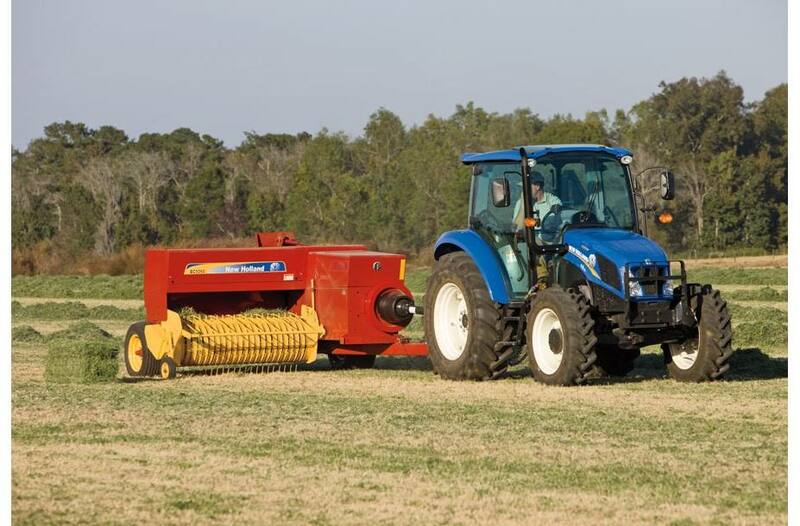 It provides some of the same efficiencies the SCR system provides for larger-horsepower tractors, yet is compact enough to maintain the utility tractor size. Common Rail. 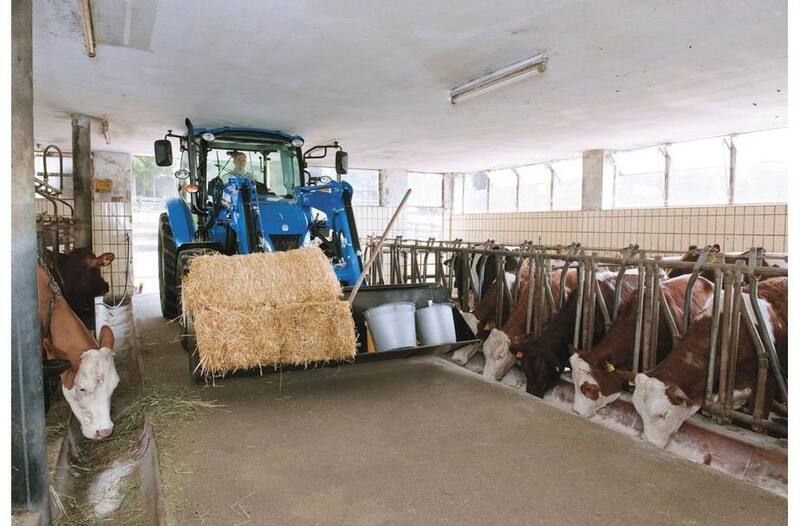 Common Sense: More responsive tractors. Lower fuel bills. This is the result of Common Rail technology that delivers less engine noise and precise fueling for optimal response and reduced reduced fuel consumption. Power The Implements of Your Choice: Name the task, and PowerStar™ Series tractors have the hydraulic capacity to tackle it. 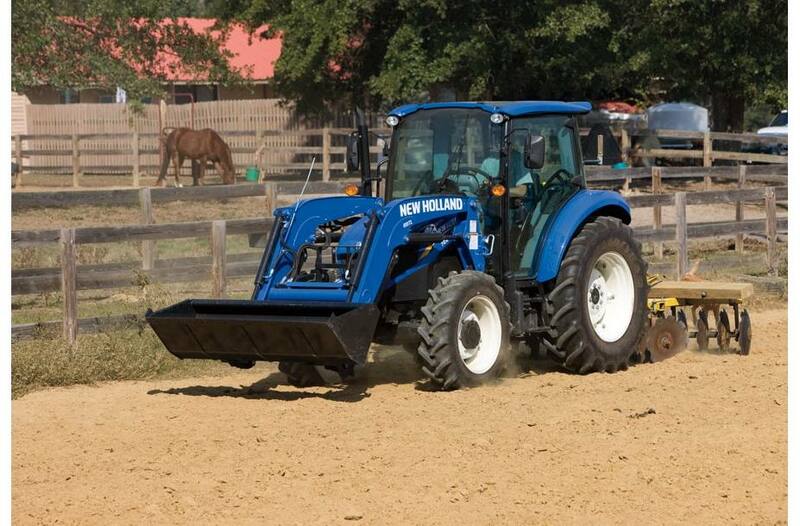 Dual Hydraulic Pumps: New Holland knows what hydraulic capabilities you’re looking for on this size of utility tractor. The precision-engineered open-center system features a tandem pump system—an implement pump to supply the three-point hitch, remote valves and optional loader, and a dedicated steering pump that allows for responsive, low-effort steering without compromising implement hydraulic needs or loader cycle times. Remote Valves To Match Your Needs: Equip your PowerStar ag tractor with up to three rear remote valves to power rear implements. A mid-mount loader remote valve with dedicated joystick control accommodates a loader. Three-Point Hitch: A robust, heavy-duty three-point hitch lifts from 3,664 to 5,620 pounds to handle heavy, mounted implements with ease. If you need more, just add another two lift assist rams (PowerStar 90, 100, 110 & 120 only). Telescoping stabilizers and flexible link ends are standard equipment to make implement hook-up a simple, one-person job. All models are also available with the Lift-O-Matic™ Plus feature that enables you to quickly adjust rear hitch height with a single lever. The mechanical draft control system uses lower link draft sensing for easy implement setup and control. 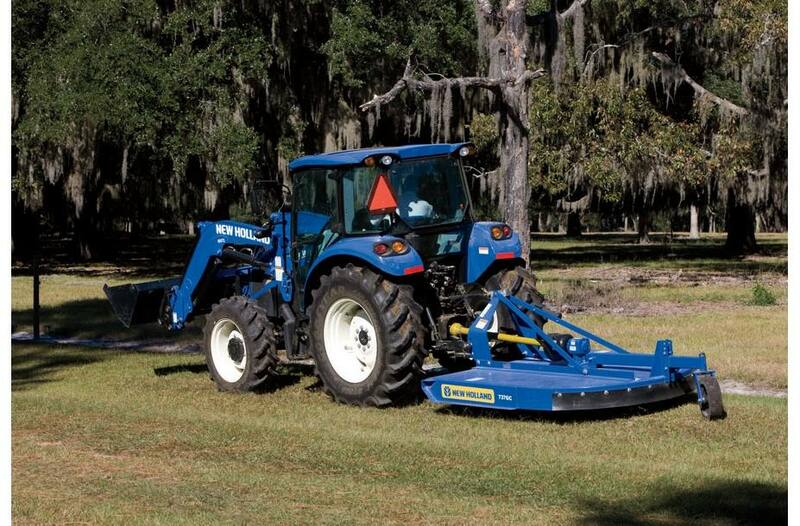 Power-Take-Off (PTO) Choices: PowerStar 65 & 75 come standard with a 540 rpm PTO that operates at a low 1,958 engine RPM to provide excellent fuel efficiency. Maximum fuel efficiency can be obtained by choosing the optional 540E which operates at 1,592 engine RPM. The PowerStar 90, 100, 110 & 120 come standard with 540 RPM PTO that operates at a low 1,938 RPM to ensure optimal fuel efficiency. An optional 540 / 1,000 RPM PTO is also available. 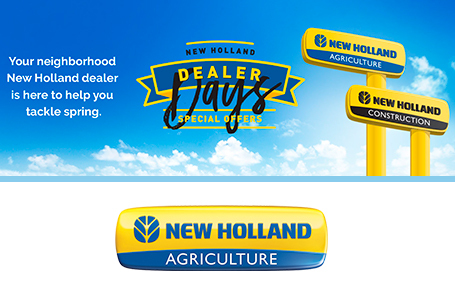 Smooth Shifting and Shuttling: New Holland offers a simple selection of transmission choicesthat are designed to suit your operational needs. • 12 x 12 mechanical* or hydraulic power shuttle transmission provides three ranges with four synchronized gears in each range. • 20x20 hyrdaulic power shuttle with creeper transmission adds two additional creeper ranges with four gears in each range. • Regardless of transmission choice a left-handed shuttle is included. Mechanical Shuttle Shuttle: The 12x12 mechanical shuttle transmission is the simplest, most economical transmission available on all PowerStar models except for the PowerStar 65. This transmission is perfect for basic haying applications, like raking and tedding, where direction changes are not frequently required. Hydraulic Power Shuttle: The hydraulic power shuttle option is ideal for jobs with frequent direction changes, like loader and blade work. With the shuttle lever is located to the left of the steering wheel, shuttling is effortless and there’s no need to remove your left hand from the steering wheel. When you choose the hydraulic shuttle option, you also get the benefit of a wet PTO clutch for extended life. Creeper Transmission: A 20x20 creeper option is available with a hydraulic power shuttle for speeds as slow as 5.5 feet per minute (depending on tire size), The creeper lever is located on the left-hand console for easy shifting when going into or out of creeper mode. 2WD or 4WD Available: PowerStar™ tractors adapt to a wide variety of applications are are available with your choice of 2WD or 4WD axle (4WD only on the PowerStar 65). A heavy duty, electronically engaged 4 wheel drive front axle is available on the four largest PowerStar models (PowerStar 90/100/110/120) to provide an impressive in-action capacity of 10,361 lbs. 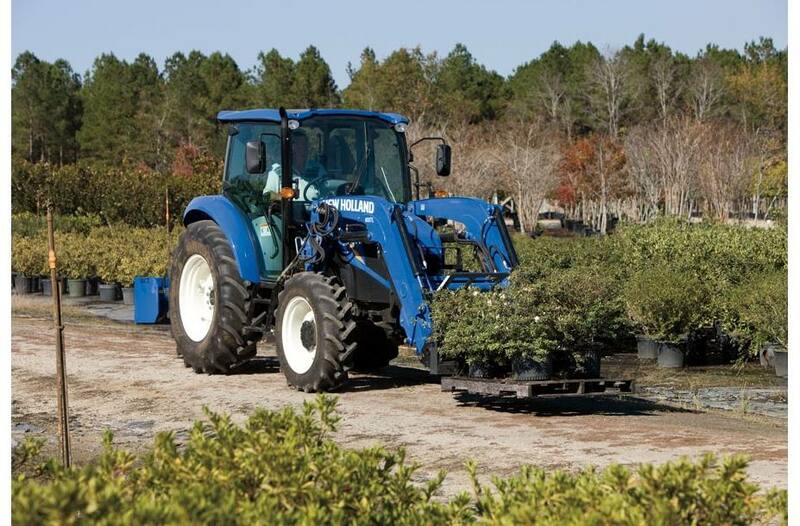 at 4-mph for demanding applications such as heavy loader work. On-Demand Traction: The 4WD front axle has electronic engagement controlled by a simple switch on the Command Arc console to help ensure additional traction is at your fingertips. When braking (using both foot pedals) the 4WD automatically engages to provide additional stopping power. The mechanical rear differential lock gives you extra traction when you need it. Simply push down on the differential lock heel pedal to lock both rear wheels together for additional traction in slippery conditions. 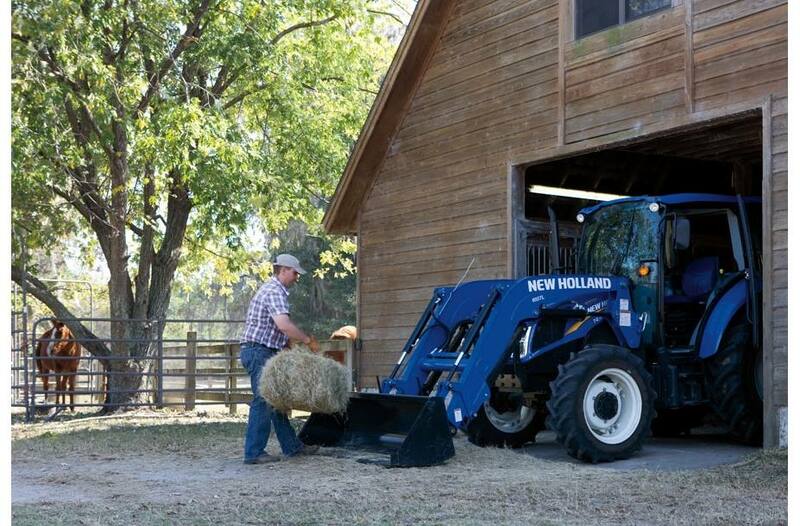 Easy Maintenance: PowerStar™ tractors make it easy to keep up with maintenance duties with convenient, ground-level service points. Convenient Flip-Up Hood: The one-piece tractor hood glides open on a gas strut, providing quick, unobstructed engine access. The condenser and hydraulic oil cooler slides or swings out easily for cleaning when needed.